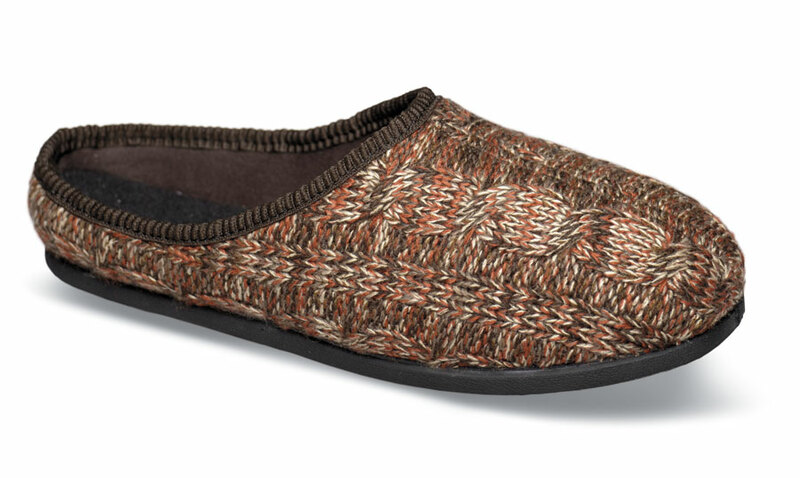 A slipper you’ll just love, the Hitchcock Wide Shoe Closet “Noreen” slide has a soft knitted upper comfortably lined with padded tricot. Two removable insoles enable you to adjust fit for greatest comfort. Wide, flexible slip-resistant sole. Vermont last. Women's Limited stock in a women's extra-wide 3E width in sizes indicated.